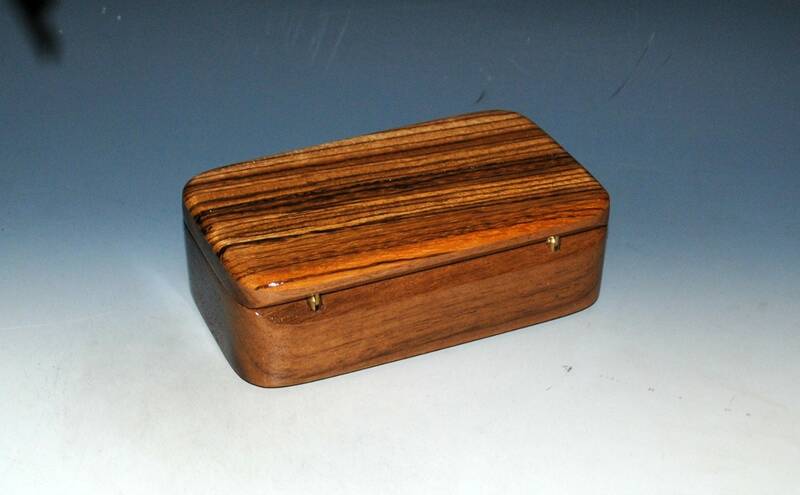 Wooden Treasure Box of Zebrawood on Walnut - Handmade Wood Box by BurlWoodBox - Great Guy Gift ! 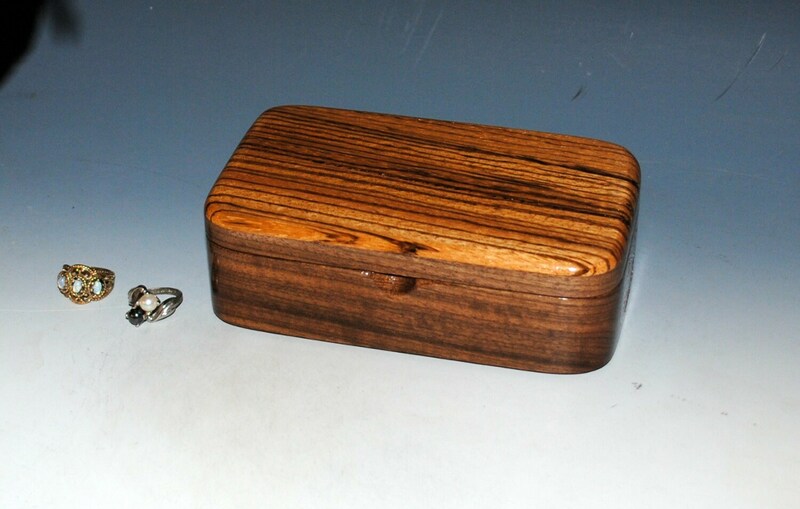 Handmade Zebrawood and walnut wood treasure box by BurlWoodBox. 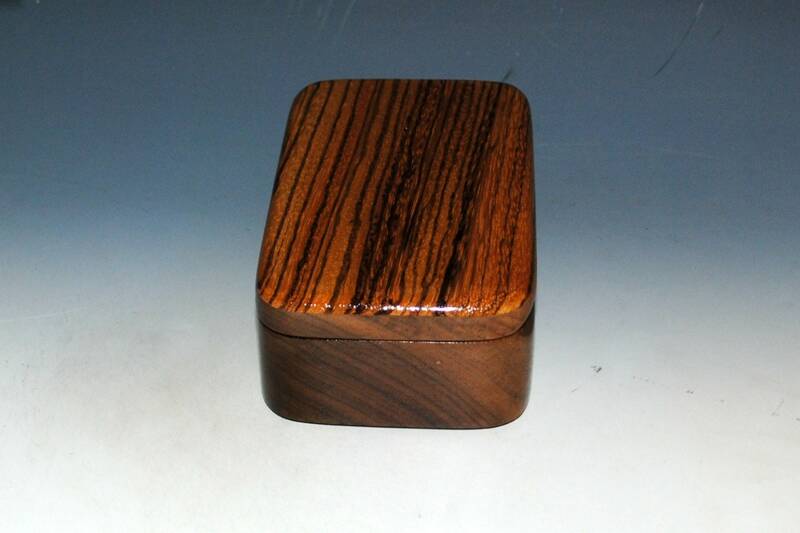 A very popular wood combo with the guys ! 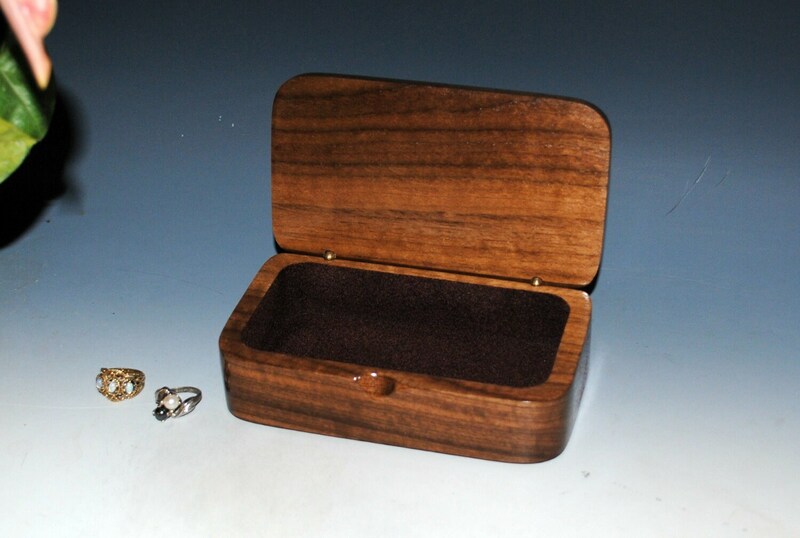 Great as a small catch-all or on your desk, a special stash box for keepsakes or treasures, or as a small jewelry box. Lined with brown rayon flocking. 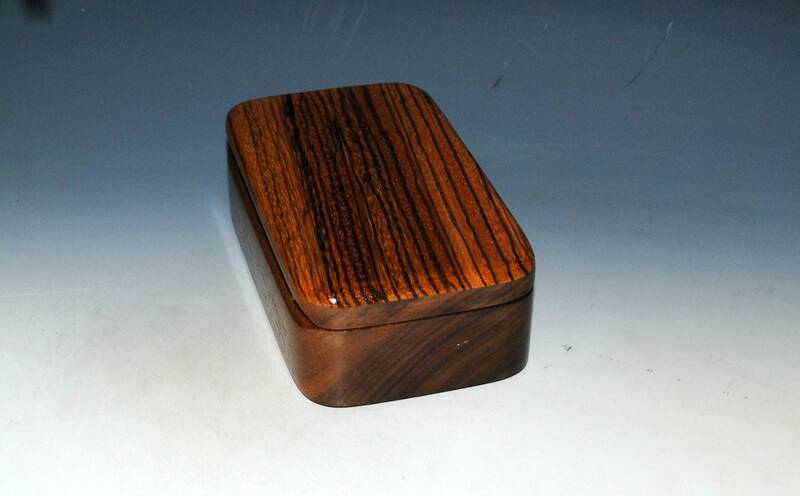 You can see more styles of our wood jewelry boxes at our main shop page, link follows. 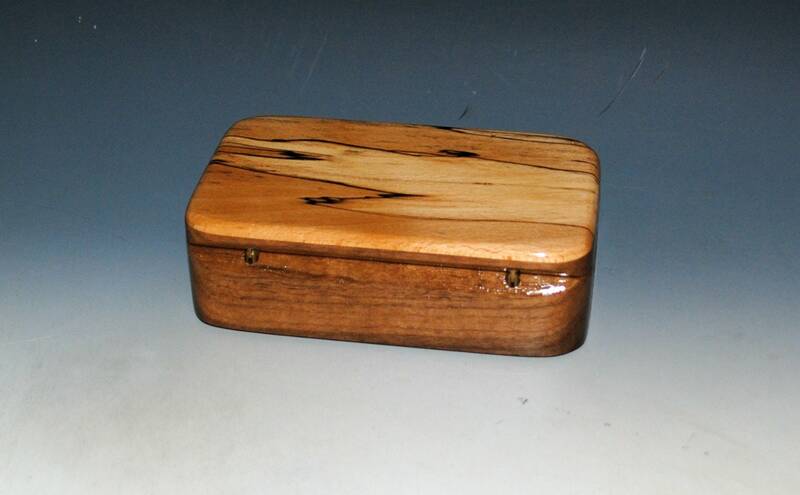 Such a beautiful, well-constructed, decorative box that is so pretty that it glistens! 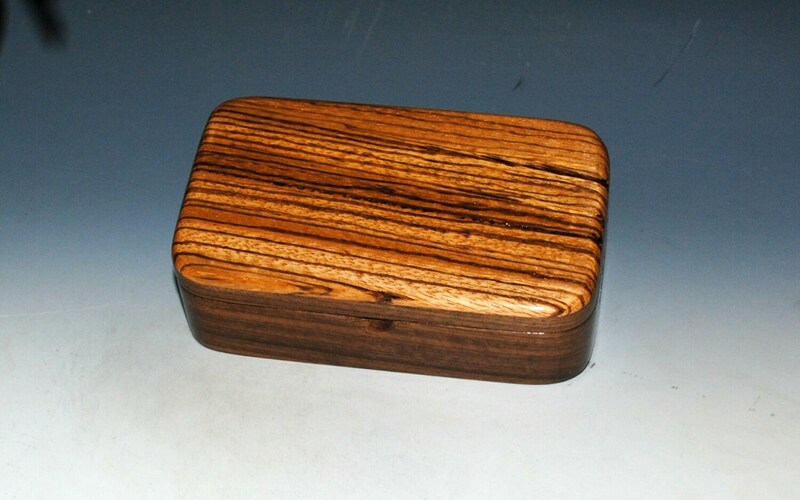 The wood itself is lovely with a beautiful pattern. It came before I even expected, and was wrapped so well in bubble wrap, and then protected from possible moisture within plastic, all in a cushioned box. So when I opened it, it was in absolute perfect shape. 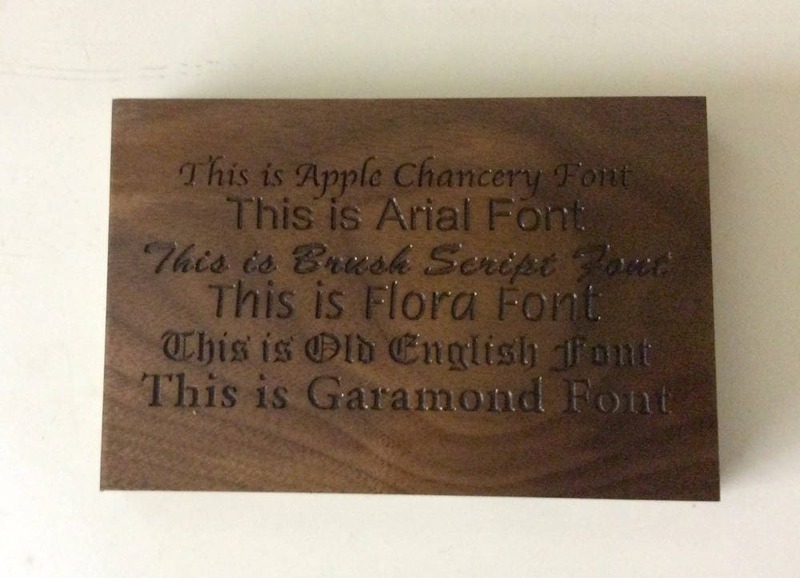 My only problem is that it is so pretty that I couldn’t decide where to put it. I kept picking it up and moving it. ...Put it here? No...How about here? No...I could put it...I think you get the picture. 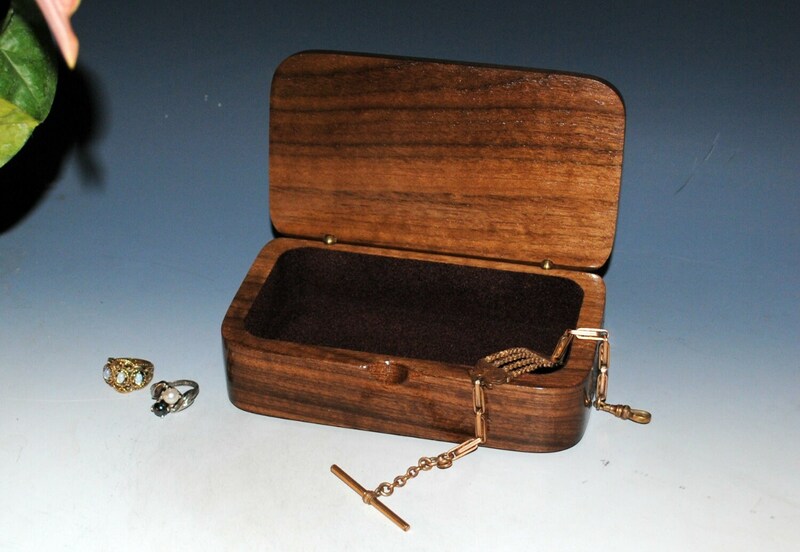 All of their boxes are meticulously constructed with great attention to detail. 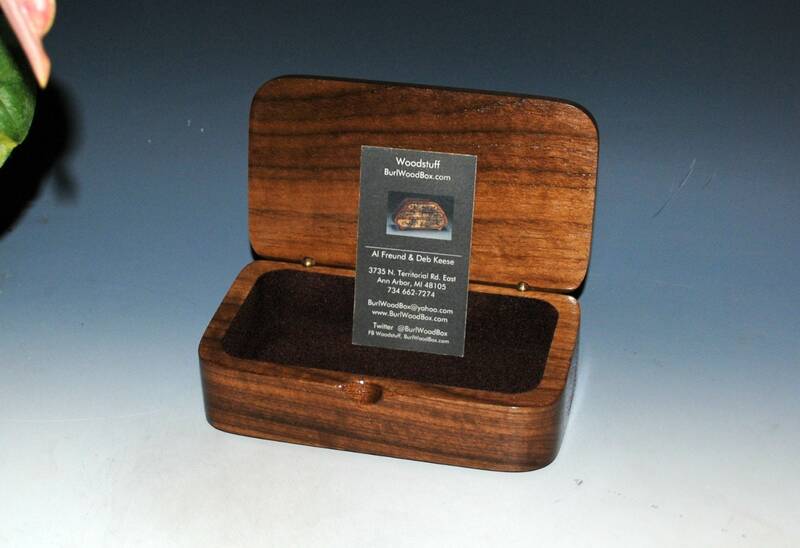 When you receive it at home you almost feel like you have adopted a new, special miniature family member! You won’t be disappointed if you purchase from these nice people!